NETGEAR Orbi Home WiFi System. 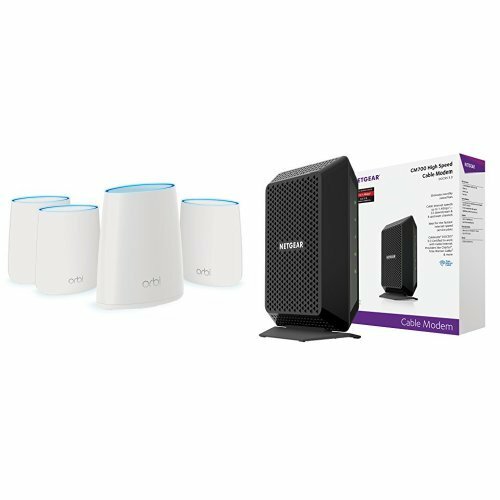 AC2200 Tri-Band Home Network (RBK44) with NETGEAR CM700 (32x8) DOCSIS 3.0 Cable Modem. Certified for XFINITY by Comcast, Time Warner Cable, Charter (CM700) by NETGEAR at AABX. Hurry! Limited time offer. Offer valid only while supplies last.